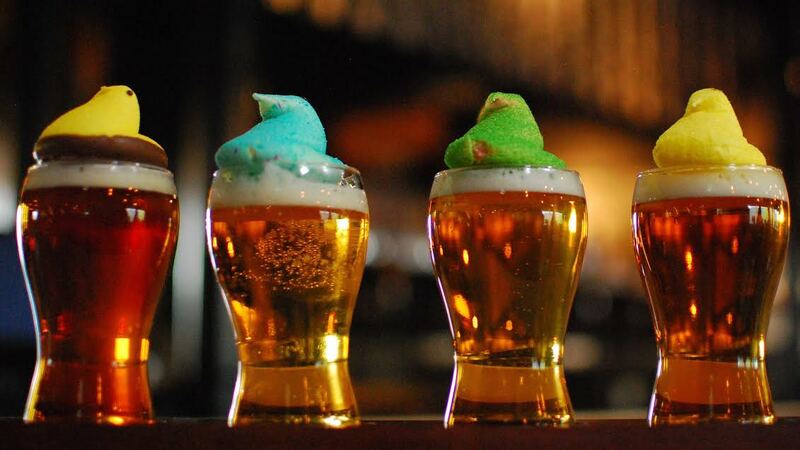 Beer enthusiasts won’t want to miss the chance to taste test a variety of four specialty ales paired with a selection of seasonal PEEPS® Brand Marshmallow Candies during the PEEPS & Pints4Pups tasting event at The Phoenix Ale Brewery Central Kitchen today through Sunday. Central Kitchen is located at the Crown on 7th at 5813 North 7th Street, just south of Bethany Home Road, in Phoenix. For $10, guests will be invited to sample a flight of four craft brews from The Phoenix Ale Brewery. Each brew has been carefully selected to perfectly complement a flavored Marshmallow PEEPS candy. Central Kitchen will donate $3 from the sale of each PEEPS & Pints4Pups flight to the Arizona Small Dog Rescue, a 501(c)(3) no-kill animal shelter for homeless, unwanted, abandoned or abused dogs and cats. Correct. You’ve probably never heard of a pairing of beers with PEEPS marshmallow candies, because we’re pretty sure it’s never been done here before,” said Rich Stark, founder of Central Kitchen. “But we’ve carefully selected these combinations because they’re actually quite tasty – for people, not dogs,” Stark added. Guests who visit Central Kitchen on Sunday, April 9 from 11 a.m. to 3 p.m. will also have the opportunity to meet and adopt pups from Arizona Small Dog Rescue. Animal lovers who aren’t looking for a new pet are invited to bring their own dogs for a complimentary Easter photo from Hatton Photographic Design, complete with bunny ears and other photo props.